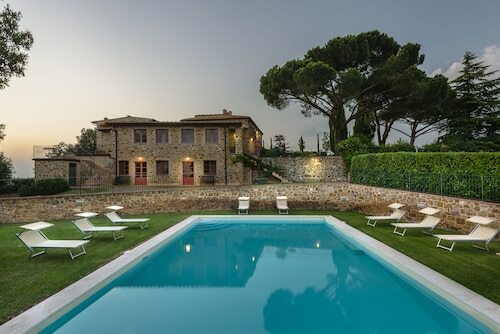 Situated in Semproniano, this golf farm stay is within 9 mi (15 km) of Terme di Saturnia, Cascate del Mulino, and Necropoli del Puntone. Piazza del Castello di Montemerano and Art History Library of Montemerano are also within 9 mi (15 km). Situated in the historical district, this hotel is within 9 mi (15 km) of Terme di Saturnia, Cascate del Mulino, and Necropoli del Puntone. Parish Church of Saints Flora and Lucilla and Archaeological Park of the Tuff Cities are also within 16 mi (25 km). Situated in Semproniano, this farm stay is within 12 mi (20 km) of Terme di Saturnia, Cascate del Mulino, and Necropoli del Puntone. Archaeological Park of the Tuff Cities and San Mamiliano Museum are also within 12 mi (20 km). Situated in Semproniano, this luxury farm stay is within 9 mi (15 km) of Terme di Saturnia, Cascate del Mulino, and Necropoli del Puntone. Archaeological Park of the Tuff Cities and Art History Library of Montemerano are also within 12 mi (20 km). 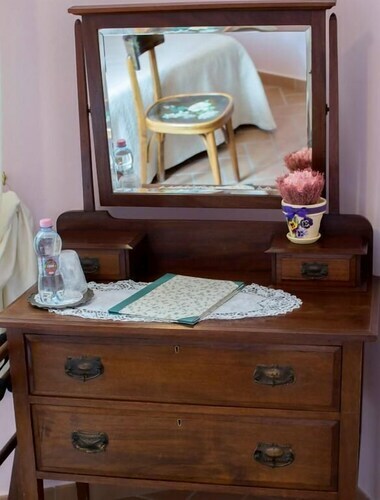 How Much is a Hotel Room in Semproniano? Hotels in Semproniano start at $70 per night. Prices and availability subject to change. Additional terms may apply. 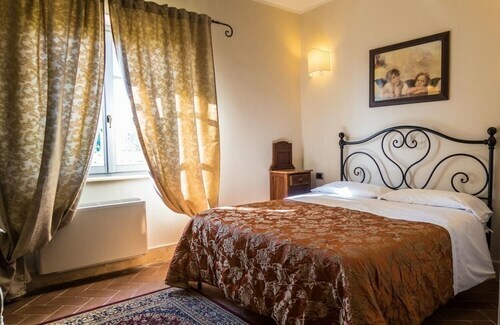 Are you dreaming about visiting Grosseto and want to find somewhere to sleep in between making memories in Semproniano? Travelocity can help you. Travelocity's hotels page presently contains 14 places to rest and relax only a short drive from Semproniano. 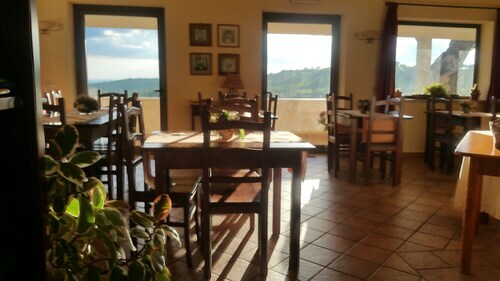 The Agriturismo La Meria is the nearest accommodation to the downtown area of Semproniano and the sole accommodation located within a short drive. You could also try the Castello Banfi - Il Borgo along with the Castello Di Vicarello. The Castello Banfi - Il Borgo is situated just 19 miles (31 kilometers) outside of downtown Semproniano. The Castello Di Vicarello, can be found just 17 miles (27 kilometers) away. If you'd prefer, you could make a reservation at the Terme di Saturnia Spa & Golf Resort or the Castello di Velona SPA Resort & Winery. Once you have put in the time exploring Semproniano, how about you tour a little bit further afield? The Tuscany vicinity has myriad things to offer. Discover Tuscany's ruins. Those wanting to explore some natural spaces should leave time to relish the region's rural landscapes and beaches. Visitors in this part of Italy often love snowboarding and skiing. Looking for more things to do? You could spend some time visiting Terme di Saturnia and Maremma Vigna Mia, which can be found in Manciano, 11 miles (18 kilometers) to the south of Semproniano. 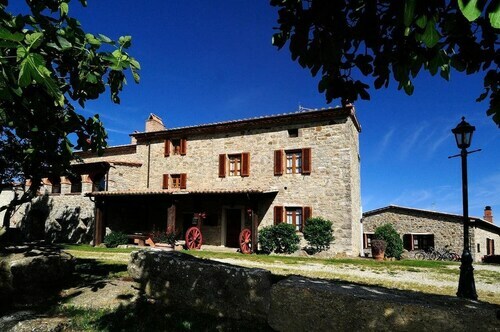 Some Manciano hotels and apartments include the Fattoria Pianetti and Montarlese Eco-Lodges. Or, stay the night in Scarlino, 40 miles (63 kilometers) to the west of Semproniano, where you can pick from the Resort Baia Scarlino and Relais Vedetta. If you stay in Scarlino, make your way to the Castello di Scarlino and Cala Violina. If watching sport is on your bucket list for Semproniano, take the time to visit Stadio Artemio Franchi - Montepaschi Arena, which is located 45 miles (69 kilometers) to the north of Semproniano. Travelocity users that are interested in booking a room close to the stadium, book in the Grand Hotel Continental Siena – Starhotels Collezione or Hotel Certosa Di Maggiano. If you're traveling into or out of Leonardo Da Vinci Airport and hope to find somewhere to stay in the area, look at Hilton Rome Airport or Hotel Seccy.